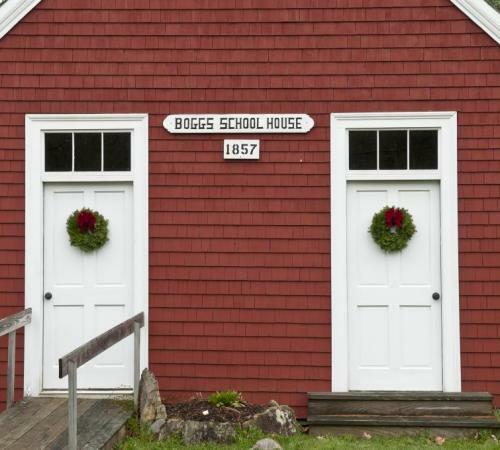 Wreaths of Maine is located on the edge of Down East Maine in a town that has been making holiday greens to garnish doors since the first German settlers arrived in the 1700's. Wreath making is one of the strongest traditions in our community, being a unique skill passed from generation to generation. 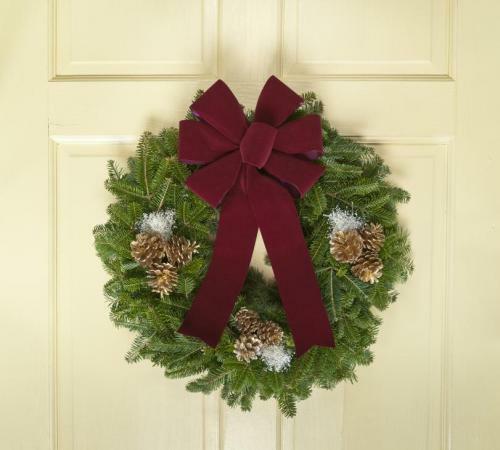 We have shipped fresh Maine balsam wreaths to all 50 states and many places beyond. 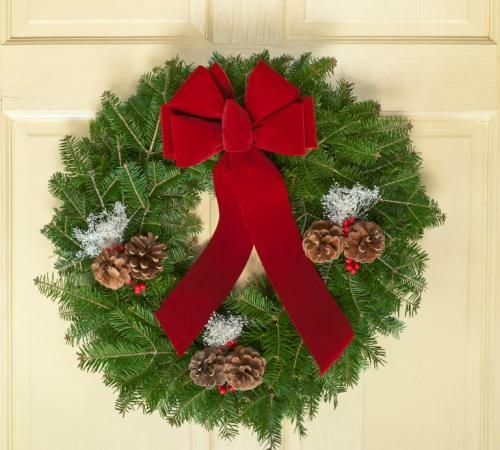 Loyal customers from Alaska to Florida tell us we make the best Christmas wreaths they've ever seen. 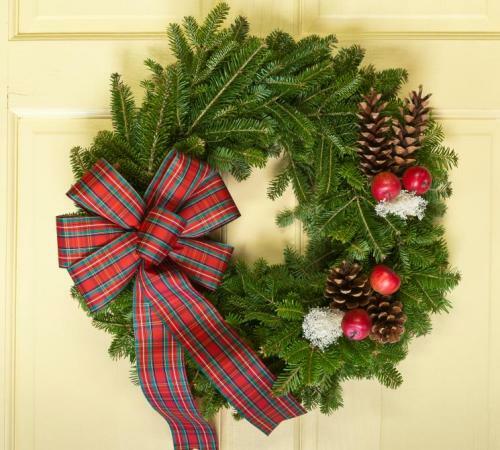 Our family has been involved in the wreath business since 1982, and we guarantee you won't find a longer lasting more attractive wreath, swag or spray anywhere. Most of our wreaths are sold by home-schooled children; an idea implemented by the founder from the experience of his home-schooled kids. There are other groups that take part as well including church groups, athletic clubs and private and public schools. 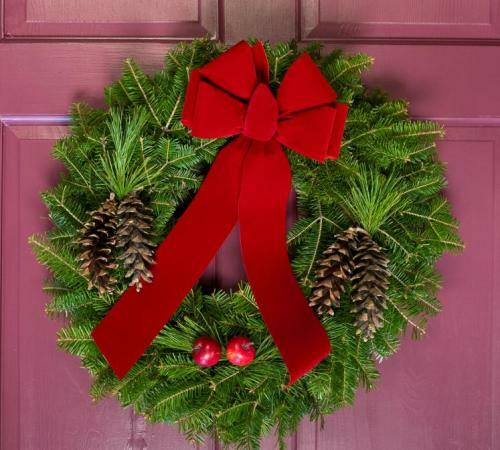 Every fall they contact us to become part of the sales force earning a commission on each wreath sold. 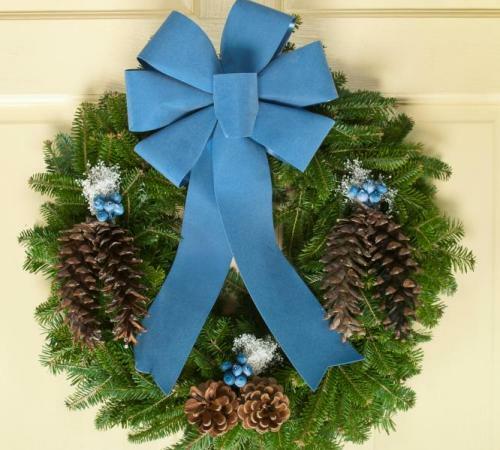 Wreaths of Maine has issued over $250,000.00 in commission checks to benefit the fundraising efforts of the children. 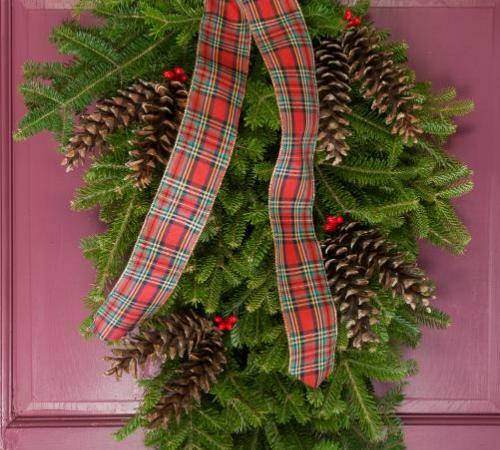 We use Balsam fir to make our double sided wreaths, because it is plentiful, but more so, because it smells so good. It is one of the most aromatic greens around that most Mainers equate to the smell of Christmas. Each wreath has greens on both sides to give it a full appearance. It measures a full two feet across, which is a perfect size for the front door. 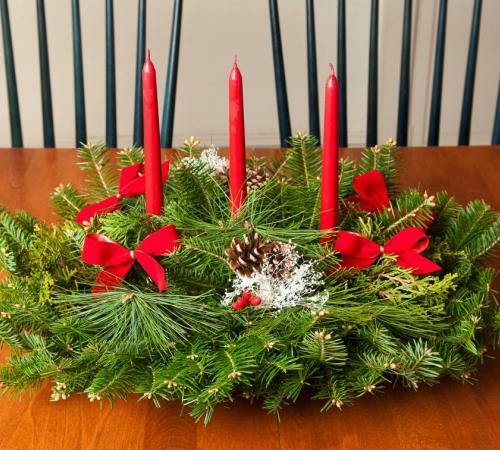 Each one is hand made by a skilled wreath-maker, forming bouquets of Balsam fir greens that are wired onto both sides of a ring to form a wreath. 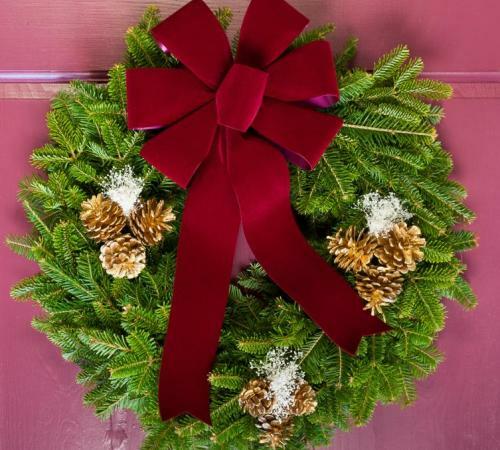 The wreaths are then decorated just as it appears in the picture, except for the bow; which is placed in the center to prevent it from crushing. The wreaths are then delivered in decorative boxes using the fastest and most efficient delivery possible so wreaths arrive fresh at your door. They come with a personalized gift card and a hanger attached. They come straight from the box to the front door!